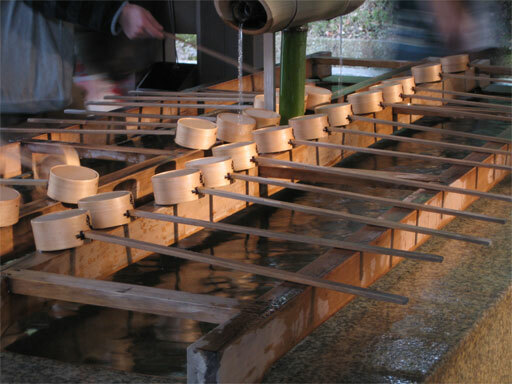 I really liked the way the afternoon light hit these little wooden scoops that were used for washing hands before entering the central courtyard of this shrine, built for the Meiji emperor and empress (who ruled while Japan modernized in the late 19th century). 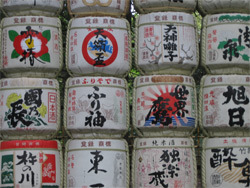 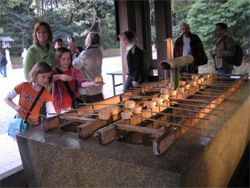 Second row: barrels of sake offered to the shrine. 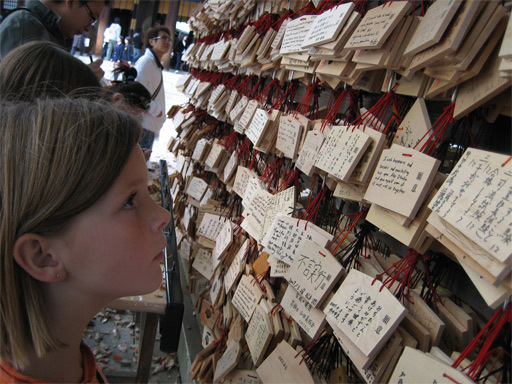 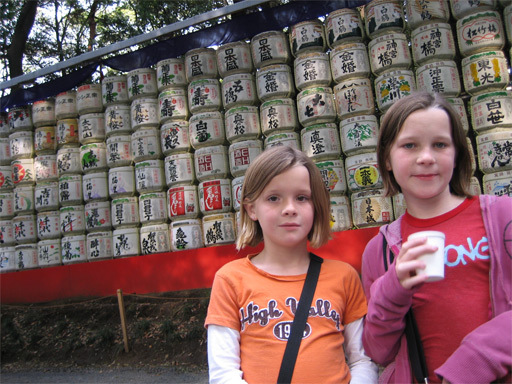 Third row: Ellie checking out the 500-yen prayer plaques in many languages, including one from someone her like her whose fondest wish is to meet and befriend the actress that plays Hannah Montana on Disney Channel.